Hello Angel! It is time to review the newly launched Forest Essentials Tejasvi Brightening and Lightening Ayurvedic Sheet Mask. So, just a week ago Forest Essentials came up with the first ever Ayurvedic Sheet Masks. And, ever since then I was curious to buy them. Well! FE is a luxury Ayurveda brand and I expected the price of the sheet masks to be high. But I feel no shame to say that I was completely taken aback when I came to know about the whooping high price. I thought to buy all the three variants, but keeping the price point in mind, I restricted myself in buying just one. 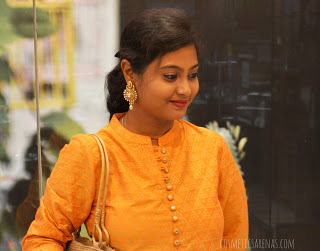 Without further ado, let me share every single detail about Forest Essentials Tejasvi Brightening and Lightening Ayurvedic Sheet Mask. Price: INR 395 per sheet mask! You can buy 3 sheet masks for INR 995. Variants: FE has launched three variants as of now namely, Forest Essentials Tejasvi Brightening and Lightening Ayurvedic Sheet Mask, Ojas Age Arresting Ayurvedic Sheet Mask, and Sundari Deep Hydration Ayurvedic Sheet Mask. 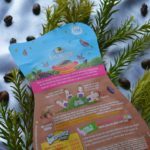 What does the Brand Claim about Forest Essentials Tejasvi Brightening and Lightening Ayurvedic Sheet Mask? 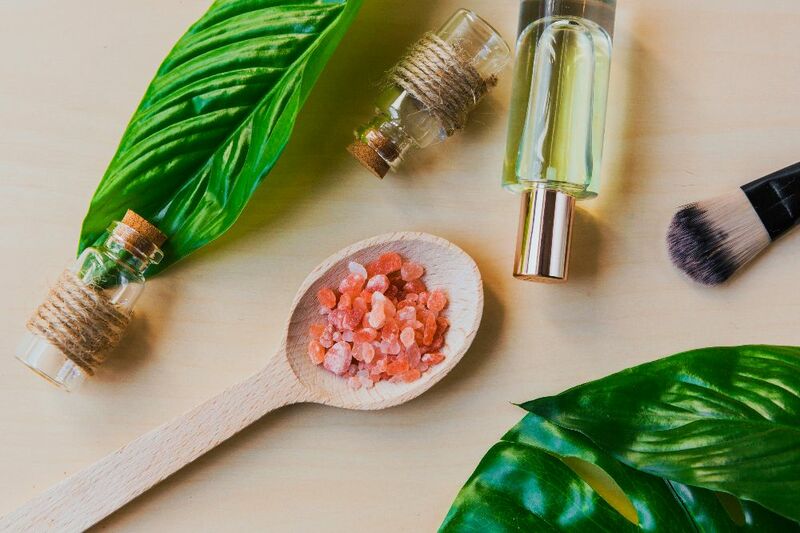 Ayurvedic cosmeceuticals started its revolution during the Indus Valley Civilization. 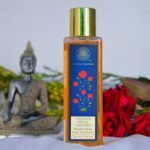 Ayurvedic Literature including the Charak Sanhita, Atharva Veda, and Shushurut Samhita has cited about 200 herbs, fats, and minerals that are essentials to maintain the beauty of the skin. 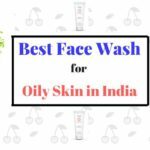 In a number of proses, these pieces of literature have cited the use of Ayurvedic face packs and face masks, that can hydrate the skin, can firm and tone it; even can hide all the blemishes and imperfections. This sheet mask is based on the Varnya Brightening Solution Complex. Varnya is basically an important group of herbs which are Mulethi, Lemon Balm, and Arnica. According to Ayurveda, without Varnya, a youthful skin is impossible. This Tejasvi Sheet Mask has Ascorbyl Glucoside that is a water soluble derivative of Vitamin C and also Niacinamide which is Vitamin B3. Both of these ingredients have skin brightening properties that provide you with a glowing and youthful skin forever. Somehow, I thought that at least this time; FE would come up with the whole list of ingredients. But alas! I was disappointed again, like all the Forest Essentials products, this sheet mask is also devoid of the list of full components. 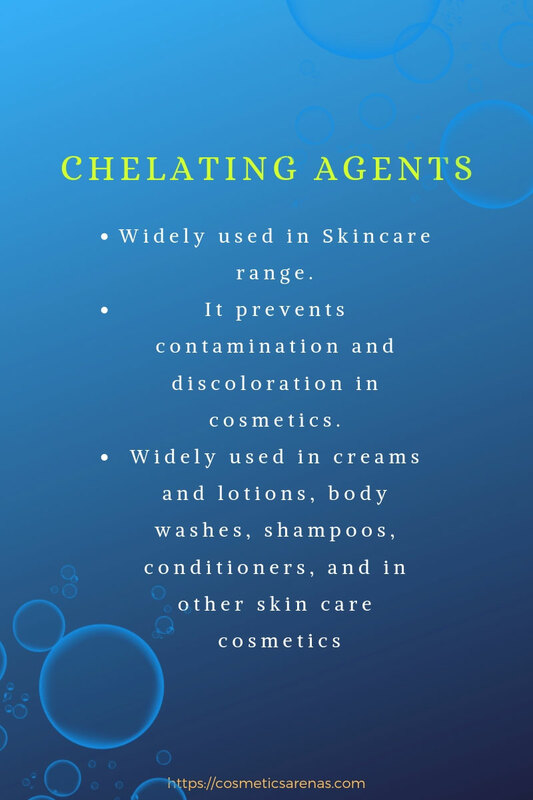 Only key ingredients are not sufficient and after paying such a hefty amount for a single sheet mask, I think that consumers have the right to know all the components. Probably, this is the prime reason for me to not indulge my hard earned money in buying FE products. I hope, FE starts making their ingredients public. Moving on to the review, let’s decipher the key ingredients of Forest Essentials Tejasvi Brightening and Lightening Ayurvedic Sheet Mask. Licorice or Mulethi Root Extract: The benefits of Mulethi are infinite. 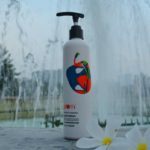 It soothes and hydrates skin; it can cure any type of skin disorder. A consistent application of Licorice can hide blemishes and scars. Olive Leaf Extract: Olive is beneficial for every human body part. It is anti-aging. Its excessive moisturizing property makes skin soft and smooth. Olive leaves are full of anti-oxidants which are amazing for skin. Arnica Montana Flower Extract: Arnica belongs to the Sunflower group. It can treat skin infections and Eczema. It has skin nourishment property much like its native Sunflower. Green Tea Leaf Extract: Green Tea is an amazing anti-oxidant that prevents free radicals to form. Irrespective of skin type, Green Tea is good. Lemon Balm: Lemon Balm is called the Elixir of Life. It has been proven quite helpful in treating skin conditions like herpes virus, core sores etc. The Lemon balm is full of anti-oxidants. 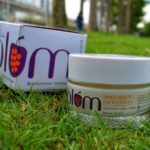 It is a boon for acne prone and sunburned skin. Ascorbyl Glucoside or Vitamin C Derivative: Of course! Vitamin C is an amazing anti-oxidant. FE has used a water-soluble derivative of Vitamin C, here. Niacinamide: It is basically Vitamin B3. Niacinamide is a great ingredient that hides fine lines and wrinkles; it protects the skin from Infra-red light. It also soothes the redness of acne prone skin. As a whole, Niacinamide is undoubtedly one of the best ingredients to look for in a particular product. Jasmine Flower Extract: Jasmine is a super ingredient that protects and clarifies skin. It also hydrates the skin. To heal blemishes and scars are other important benefits of Jasmine. Peppermint Leaf Extract: The cooling property of Peppermint helps in healing and soothing skin irritations. Peppermint is also an instant skin booster. It is enriched with nutrients like Vitamins A and C, two amazing antioxidants that prevent free radicals. It also brightens the skin complexion. Methyl Gluceth-20: It is a safe emollient that leaves a soft and smooth skin behind. 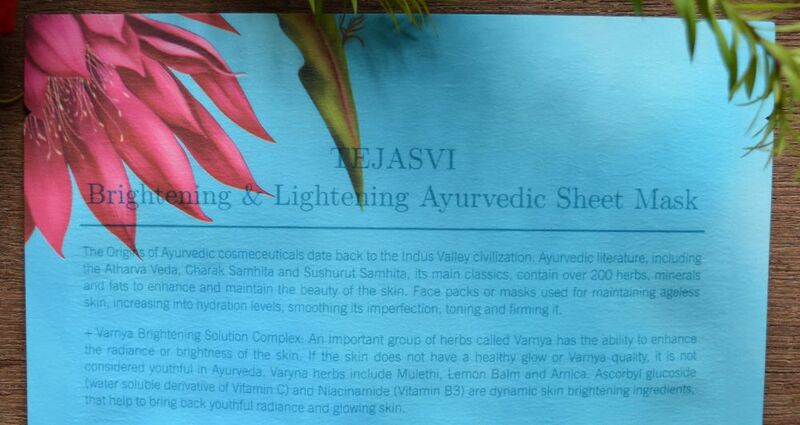 And, that’s all about the ingredients of Forest Essentials Tejasvi Brightening and Lightening Ayurvedic Sheet Mask! 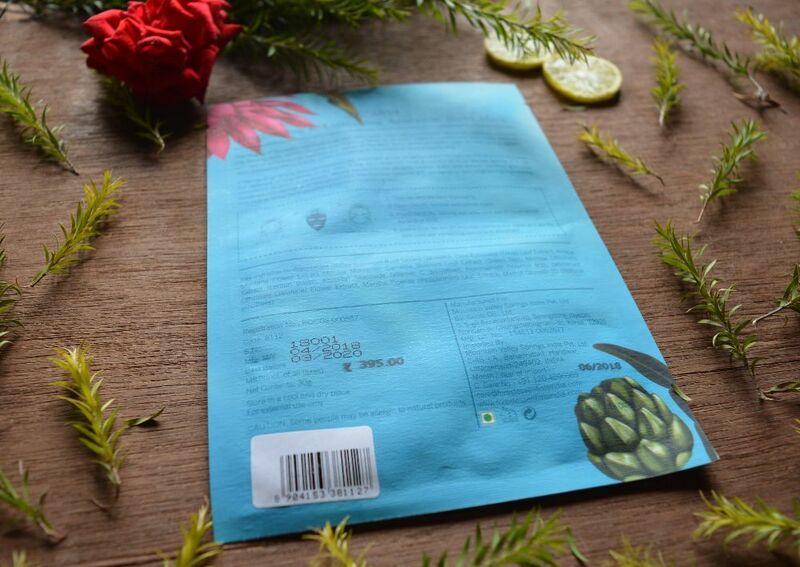 This sheet mask has a shelf life of 2 years which is not possible without the presence of preservatives. But, FE has not disclosed anything about that. So, I would restrict my rating to 3.8 out of 5 for this incomplete ingredient list. 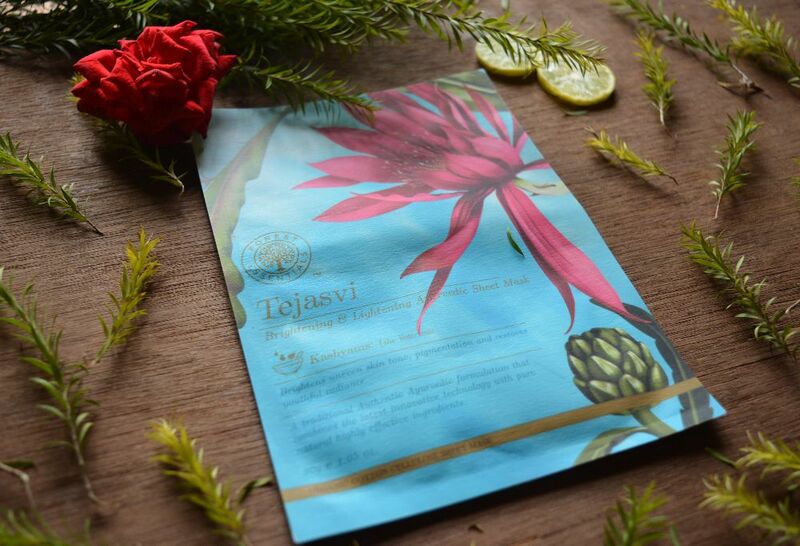 Forest Essentials Tejasvi Ayurvedic Sheet Mask comes in a beautiful packaging. I swear the graphics would simply blow your mind. All the packages look stunning on and offline. I simply loved it. I think they have launched the face mask after an extensive research. The design team has put a rigorous effort in making these sheet masks a hit in the market. The packets are easy to tear. The sheet mask does not come in another layer; it is just the mask itself within the packet. 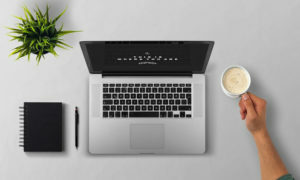 So, it is easy to use especially while you are traveling. The sheet masks are actually organic and cotton cellulose masks. It has a soft, smooth, and silky touch that elevates your skin immediately to a luxurious dream. The packaging is regal indeed and I loved it. The texture of Forest Essentials Tejasvi Brightening and Lightening Ayurvedic Sheet Mask is quite unique. The Ayurvedic Decoction is milky cream in color and very light in texture. It feels very unique while you apply it. In fact, the serum does not feel artificial. Every moment, it compelled me to feel the royal texture. Aah! The fragrance of Forest Essentials Tejasvi Brightening and Lightening Ayurvedic Sheet Mask is heavenly. And, I can swear by it. I can assure you that the aroma is so amazing that it would captivate your mind for a long time. The sheet mask was literally full of Ayurvedic serum. As you can see in the picture, it almost started dripping from my hand. In fact, the sheet mask was totally drenched in such a way that two people can use it easily (only if it were possible!). The moment I put on this Ayurvedic Sheet Mask, I felt a cooling sensation. It felt so pure and charming, that I felt like keeping on the mask like that forever. The fragrance is really beautiful and so enchanting that it would not let you think of anything else. I kept on the Sheet Mask on my face for around 15 minutes as per the directions. When I removed it, my hands went to reach the packet for some extra serum to massage on my neck and face. Oh my god! The packet was still full of serum. In fact, if you preserve the packet in a refrigerator, you can use the leftover serum again another day just to moisturize your skin. I have used a number of sheet masks, but I have not seen any brand to pour such a generous amount of serum in one packet. FE has done a brilliant job here. The end result was definitely amazing. As you can see, my face is literally beaming with brightness and youthfulness. I felt like I have just done a luxurious spa. I could sense my rejuvenated, hydrated, and nourished skin. 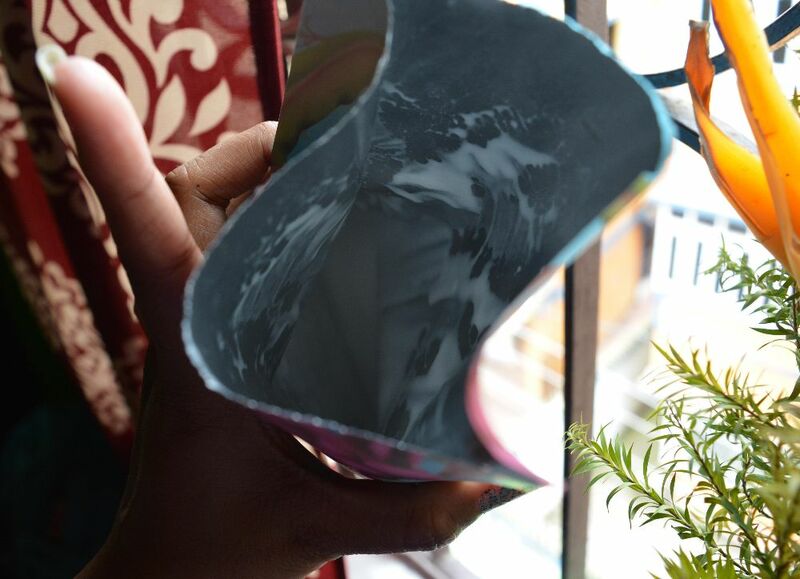 Did Forest Essentials Tejasvi Brightening and Lightening Ayurvedic Sheet Mask Cause any Skin Irritation? No, it did not cause me any irritation or rash. I have a severe dry and sensitive skin; anything offbeat gives me irritations. Fortunately! This Ayurvedic Sheet Mask was absolutely awesome. It is made of Varnya herbs. 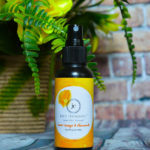 The serum feels luxurious and light on the skin. The formula moisturizes skin very well. In fact, the moisturization lasts pretty long. The packet is full of serum. The cotton cellulose sheet mask feels light on the skin. Of course! It is pricey. I wish the mask was a bit bigger. Big faced people like me may find it difficult to fit it properly on the face. Lightening effect is a tall claim by the brand. Forest Essentials Tejasvi Brightening and Lightening Ayurvedic Sheet Mask is a must try Sheet Mask. Though it is pricey, yet you need to taste the essence of luxury Ayurveda at least once. If incomplete ingredient list is not a headache for you, then Tejasvi Ayurvedic Sheet Mask is undoubtedly one of the best sheet masks in India for sure. Would I Repurchase Forest Essentials Tejasvi Brightening and Lightening Ayurvedic Sheet Mask? In spite of the high price, I would love to repurchase this one. It would come in handy especially before a big party. Would I Recommend Forest Essentials Tejasvi Brightening and Lightening Ayurvedic Sheet Mask? Of course, I would recommend! 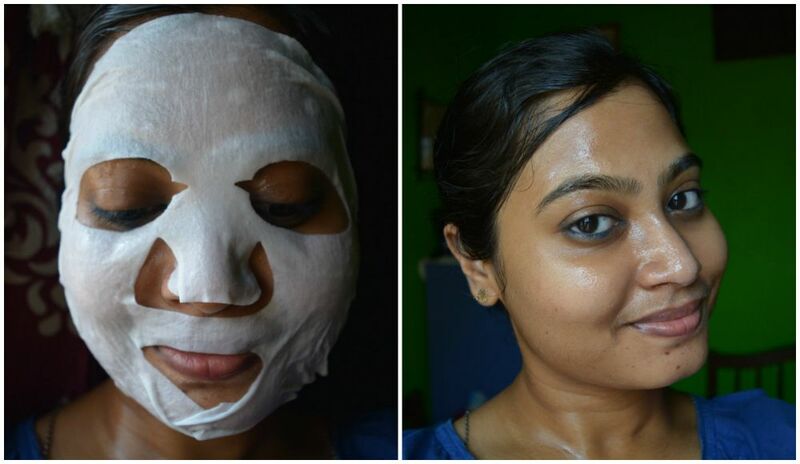 This Ayurvedic Sheet Mask is quite effective. You would surely love this. That’s all for today! I hope you find this review helpful. If you liked it, then don’t forget to subscribe because I come up with such kinds of reviews every week. Thank you for reading. Take care; sending much love on your way. This post has first appeared on Cosmetics Arena.